Gobbledygeek episode 267, “Falling…in Love (feat. Eric Sipple),” is available for listening or download right here and on iTunes here. 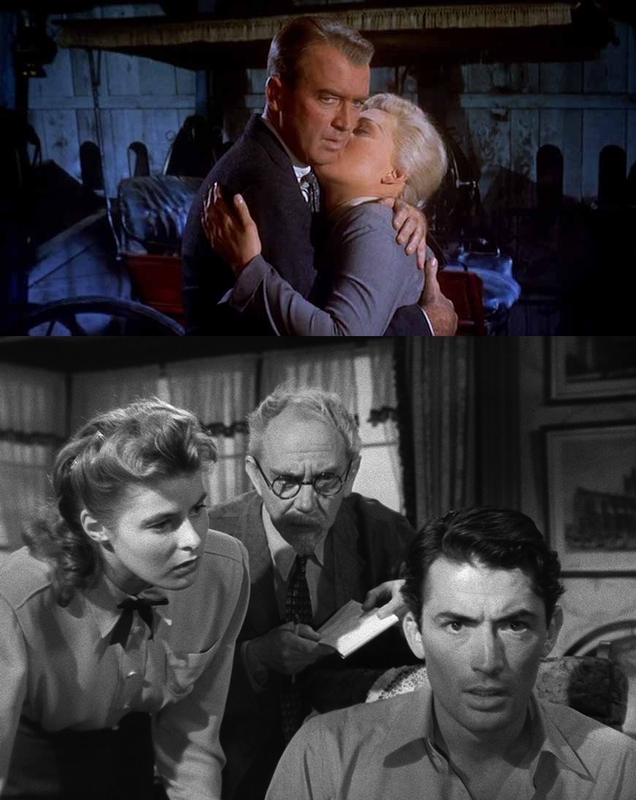 Paul and AJ take one final plunge into Hitchcock Month for a look at 1945’s Spellbound, in which Ingrid Bergman falls in love with Gregory Peck on the way to psychoanalyzing him; and 1958’s Vertigo, wherein James Stewart becomes obsessed with Kim Novak, or at least his (and Hitchcock’s) icy blonde ideal of her. Joining them on this downhill drive is Broken Magic author and The Deli Counter of Justice co-editor Eric Sipple. The boys discuss how the films deal with love and dreams, how much Hitchcock intentionally revealed of himself in his work, Salvador Dalí’s surreal contribution to Spellbound, and what Vertigo‘s reputation as the new greatest movie ever made means for its legacy. Next: Eric is back for another dreamy outing, as we return to the series we covered in 2014’s Four-Color Flashback for The Sandman: Overture by Neil Gaiman and J.H. Williams III. This entry was posted in Shameless Self-Promotion and tagged alfred hitchcock, eric sipple, film, gobbledygeek, gregory peck, hitchcock month, ingrid bergman, itunes, james stewart, kim novak, libsyn, michael chekhov, movies, podcast, salvador dali, spellbound, vertigo. Bookmark the permalink.